This was my first time teaching Quilting From A Score. I wondered how the workshop would go over since there are no flashy advanced curve techniques or opportunities to explore a multitude of different patterns as in the curve and doodle workshops that I teach. My primary goal as an improv teacher is to help people find their optimal flow for improvising, and usually most of my students achieve this to a greater or lesser degree in all of my workshops. However in this instance the class as a whole experienced a prolong "Zen" moment. At one point I was mesmerized by the syncopated quiet movements of my students, sewing, ironing, and repeating their internal sequences, all engrossed in creating and working harmoniously throughout the day. It was a group performance! I was also amazed at the range of expression achieved within the limits of this simple, algorithmic Score for Floating Squares. Participants gained a clearer understanding about how to create their own scores, or flexible patterns, by setting limits. 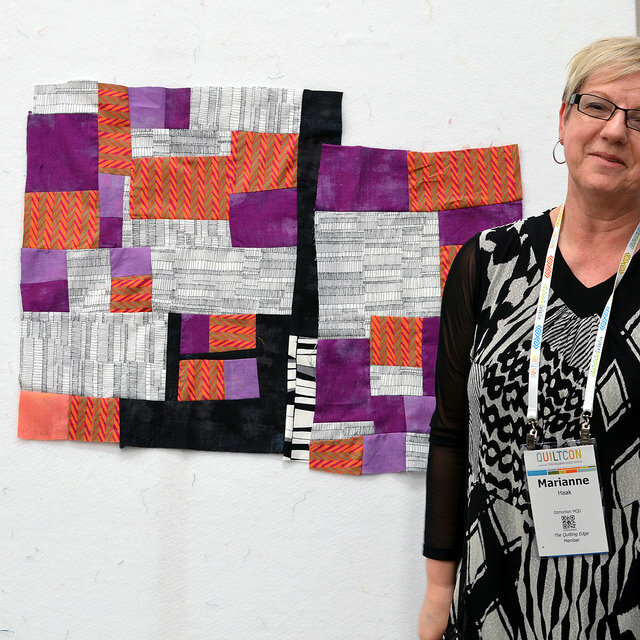 The prolonged experience of creative flow on our last day at QuiltCon left everyone feeling pretty satisfied. 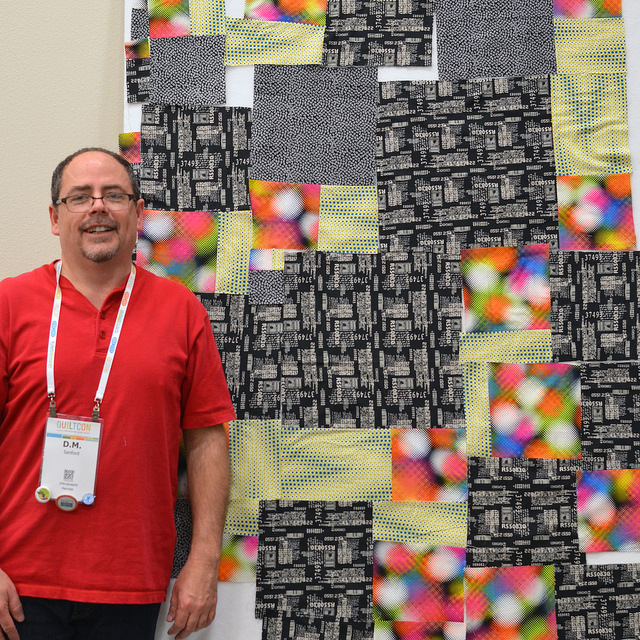 Now that's FRESH quilting - or at least quilting that leaves you feeling FRESH! It was peaceful to be around this group flow, and in this light, it was my favorite workshop of the three. 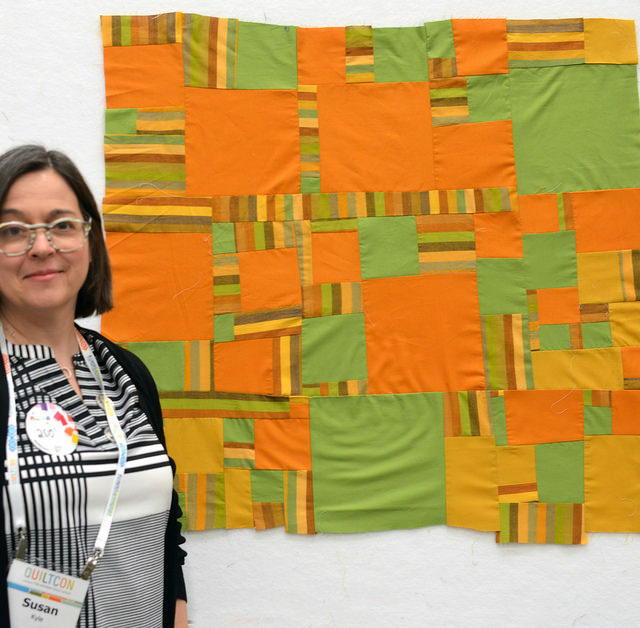 A fulfilling way to wrap up my QuiltCon 2015 experience. Thanks to all my amazing students and to all the people who I met during my book signings and lecture. May you continue to follow your own patterns, go with the flow and be satisfied!